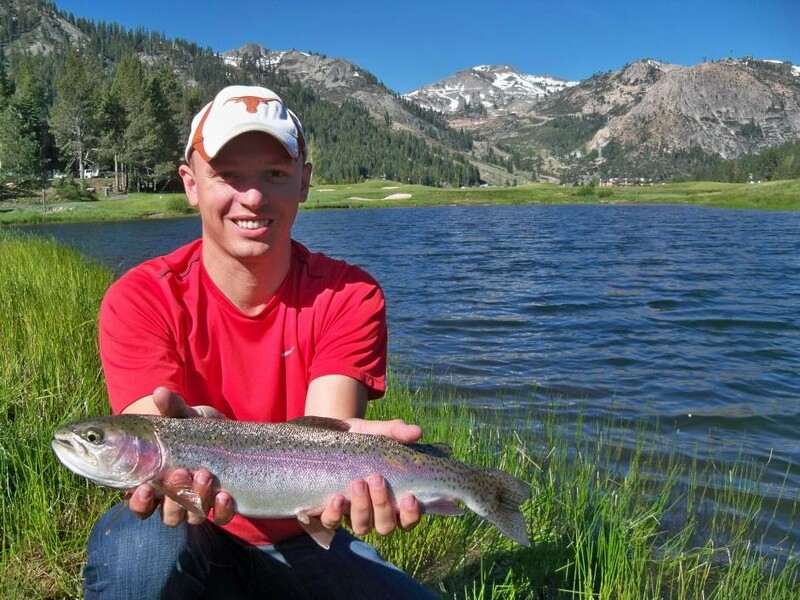 Nationally recognized as one of the top fly fishing schools in the country, our education curriculum is what sets us apart from other programs. 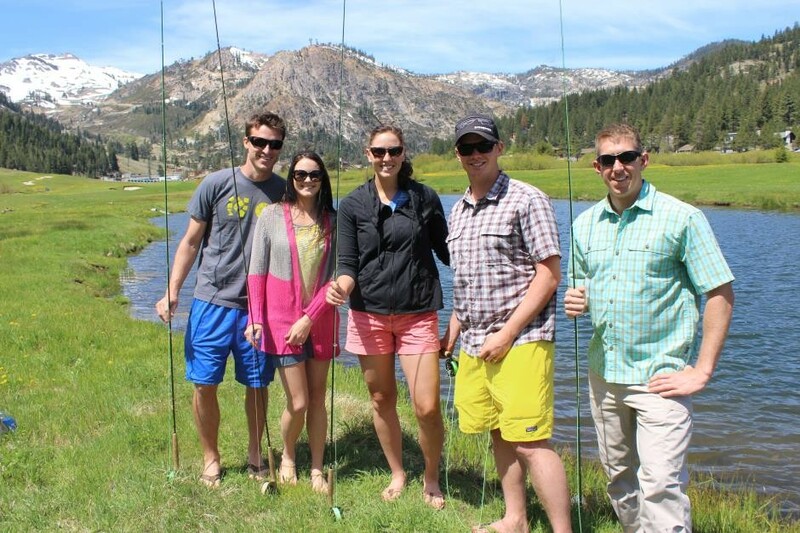 We believe the best way to effectively learn fly fishing is to experience it in a fun, exciting, hands on environment with a professional instructor. Because of this mindset, we’ve developed a number of custom classes that will tailor to all anglers ability levels and skill sets. Taking one of our classes will help you avoid many of the pit falls beginners run into, and drastically reduce the learning curve ten fold. Our youthful, educational, and energetic lesson plans are what keep bringing students back year after year, wanting to learn more! 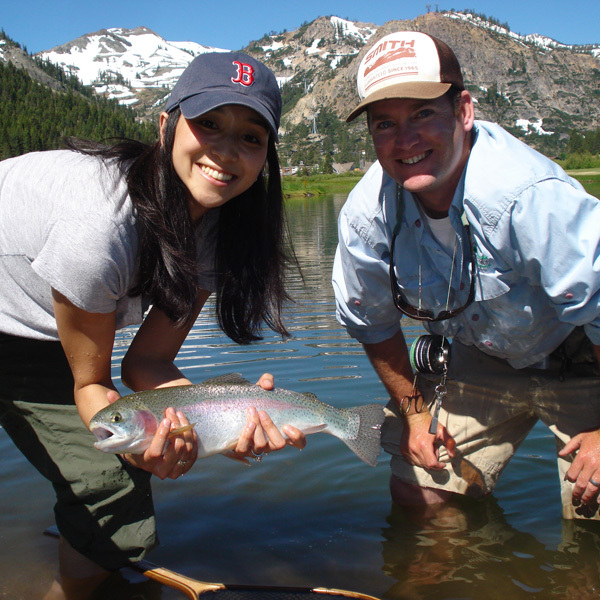 Cast N’ Catch (3 hrs: $190/pp) This is by far MHFFs most popular class offering the best of both worlds, casting instruction and fishing. 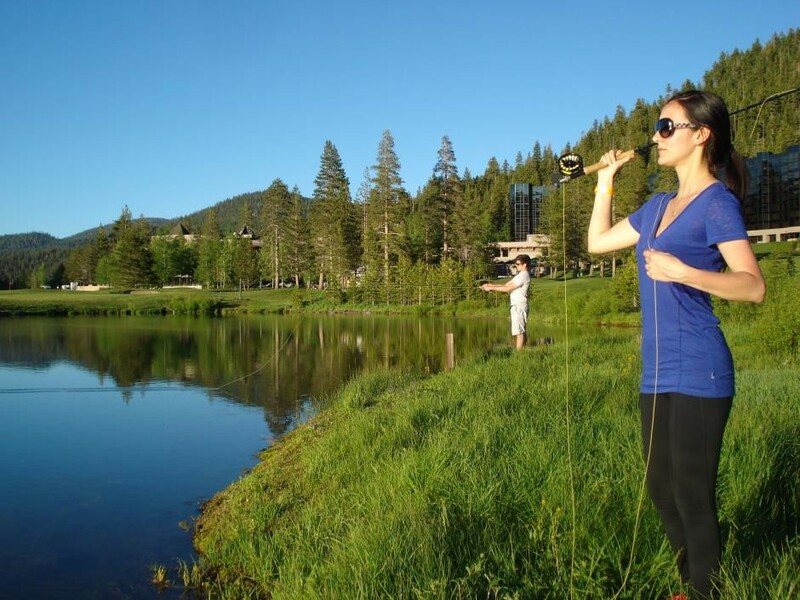 Class begins with a private hour and a half casting lesson, which leads into an hour and a half of guided fishing on the private ponds. After your three hours, you’ll understand why this is the #1 choice of all students! Sundowner (Full Day: $400/single. $300/pp for two or more) Like the C n’ C class, this popular option covers all the subjects of the Intro. 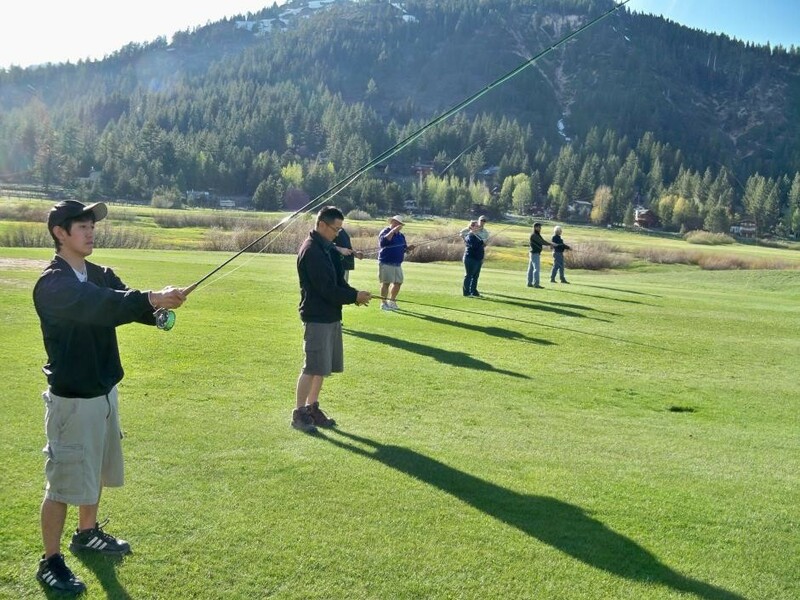 to Fly Fishing 101 course, along with guided evening fishing on the private ponds at the Resort at Squaw Creek. This is a great option for people wanting the “complete experience” in an educational setting. 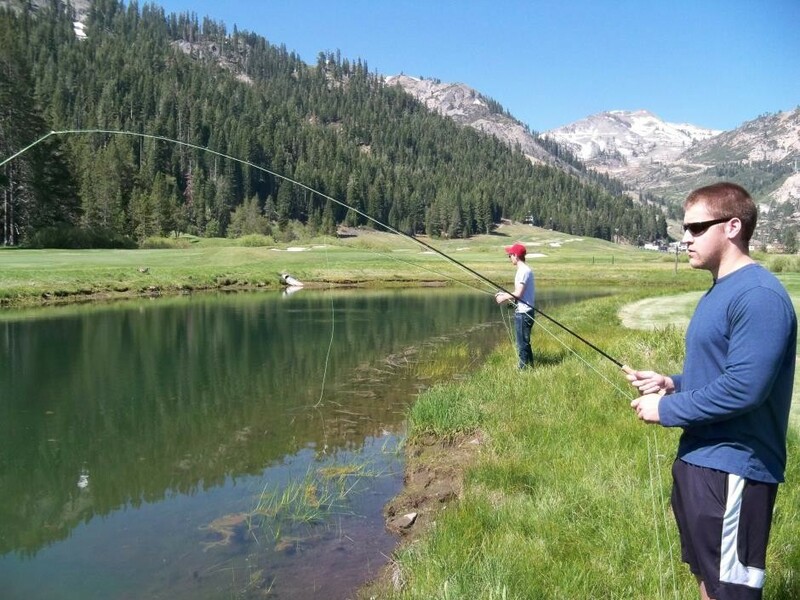 Fish On (1.5 hrs: $100/pp) For those of you that just want to spend some time fishing in one of the most beautiful settings in he world; this is the option for you. 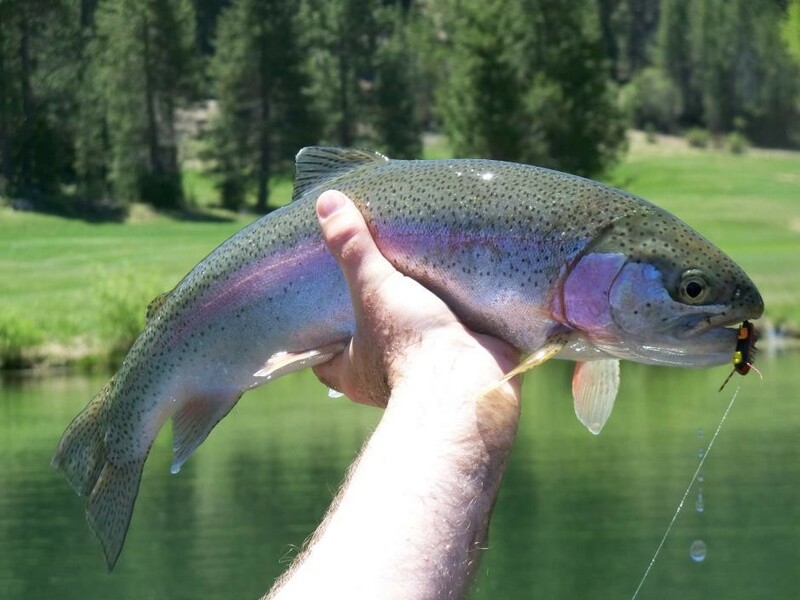 Let us be your personal guide on one of the resorts two private, stocked ponds chasing after beautiful rainbow trout. Usually recommended for people with previous casting experience. 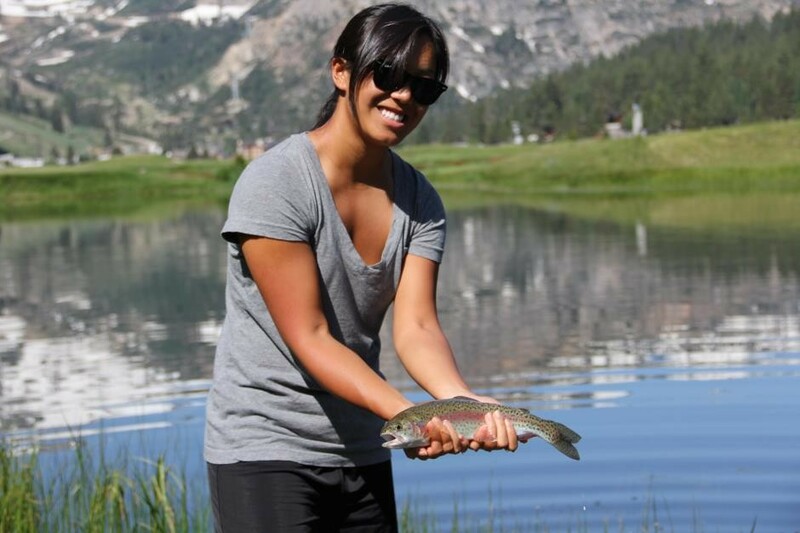 Beginner Casting (1.5 hrs: $90/pp) This class is geared for people wanting to try fly casting for the first time, or someone looking to improve their beginner skills. Casts covered will include the pickup and lay down, false casting, roll casting and how to shoot line. 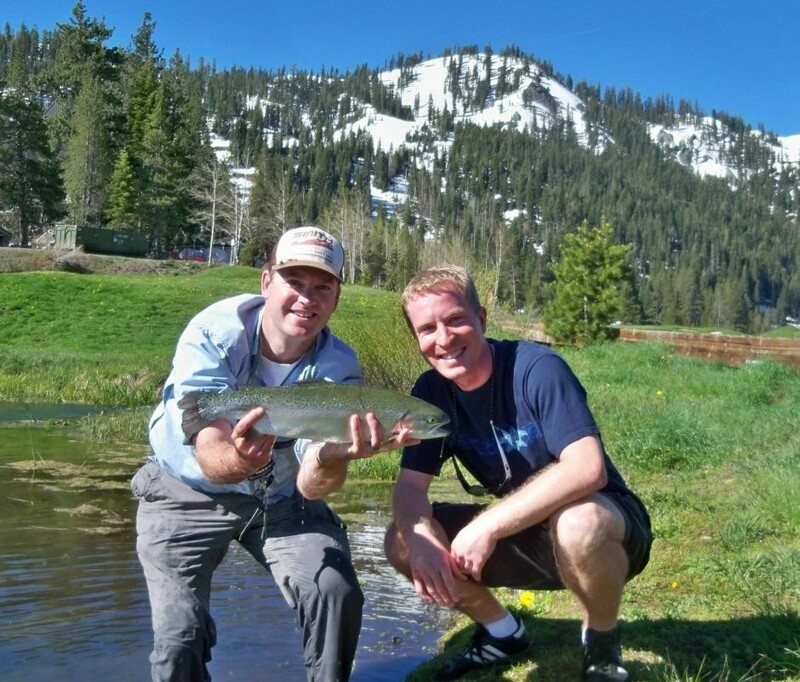 All casts will put you in a great position to get your fly to the fish! 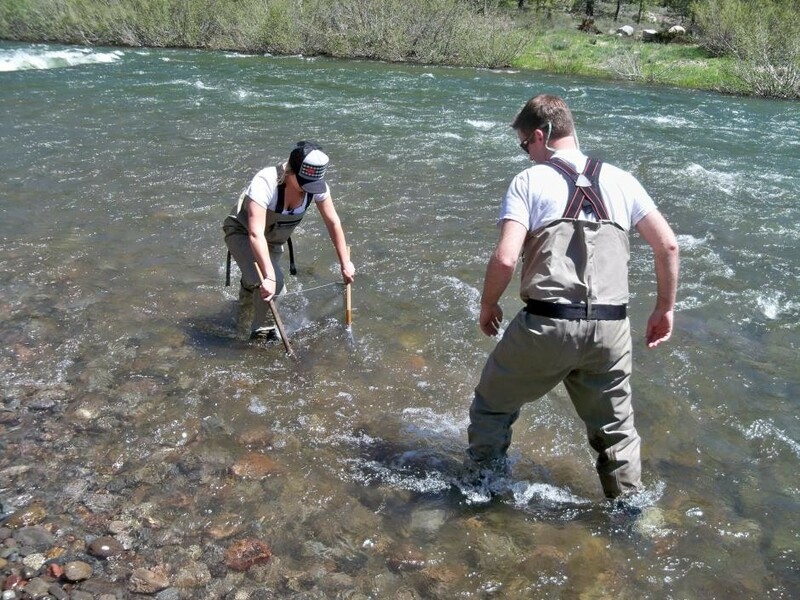 Intermediate/Advanced Casting (1.5 hrs: $90/pp) Students taking this class usually have the fundamentals of the fly cast down pretty well, and are looking to improve on what they already know. 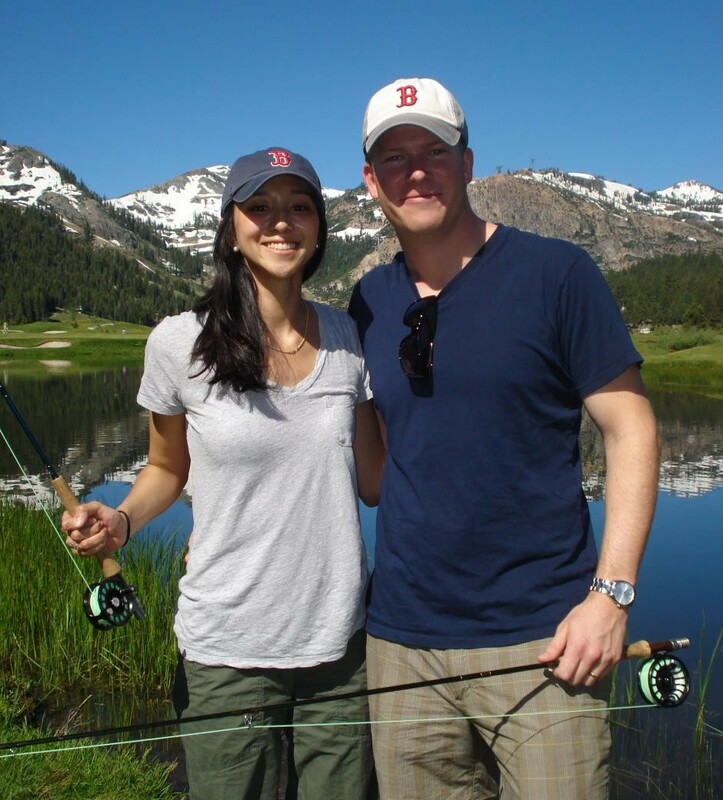 Topics covered may include working on distance, improving accuracy, fly presentation, line handling, or any one of the other skills needed to make the perfect cast. 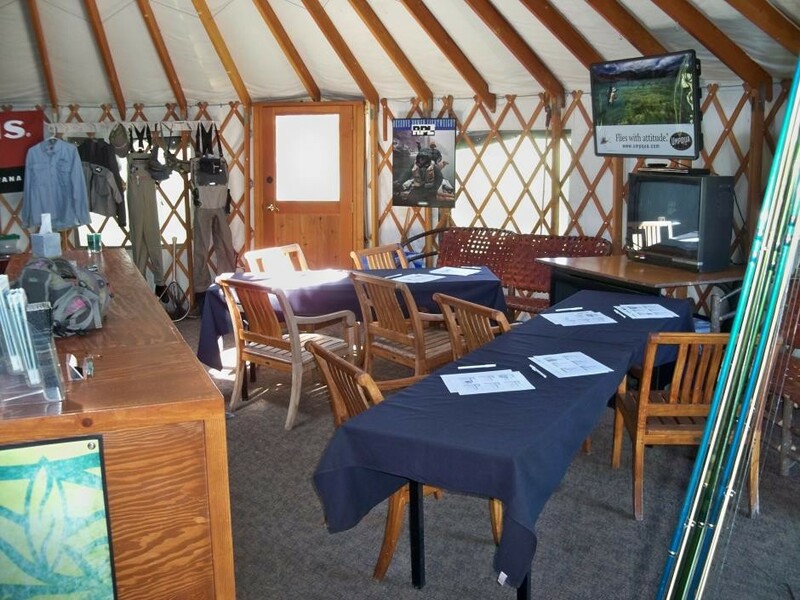 This class can be a great tune up for your upcoming fishing trip, especially if it’s saltwater flats fishing. Fly tying 101 (2 hrs: $100/pp) This is a great class for those with little or no tying experience. 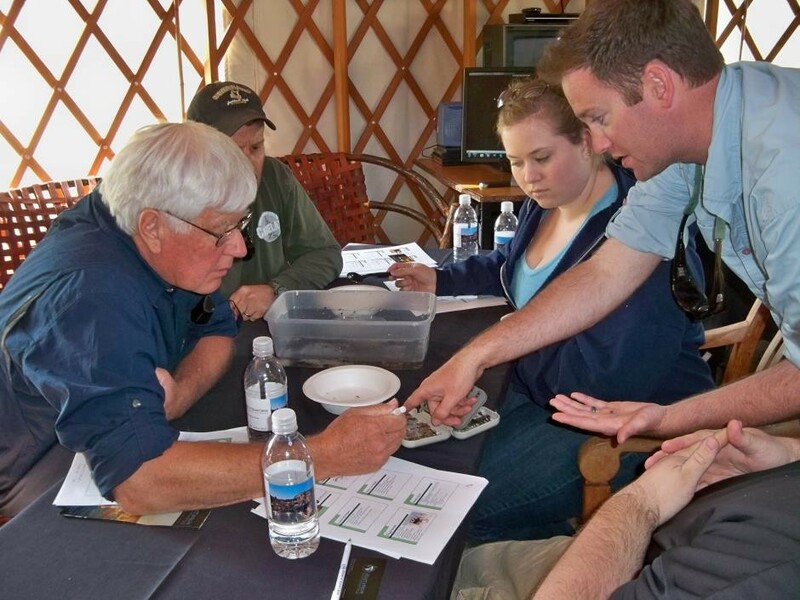 Tying 101 is structured around teaching you the basics of fly tying in a hands on environment. There is no need to worry if you don’t have your equipment, all supplies necessary will be available to all students at no extra charge. Advanced Fly Tying (2 hrs: $125/pp) This class is offered to anyone with previous fly tying experience and wants to learn a few more tricks of the trade. During your session you will learn how to tie imitative dry flies and emergers, various streamer patterns and different nymphs. You will be taught how to tie parachute posts, how to add ribbing to your favorite flies, techniques on how to use dubbing for bodies and much more.